Zeila grape dress makes a striking statement with an elegant lace design and intricate beading, ensuring this dress really is special. The round neck is exquisitely decorated with purple beads for a dazzling finish. The - length lace sleeve creates a charming, flattering look. 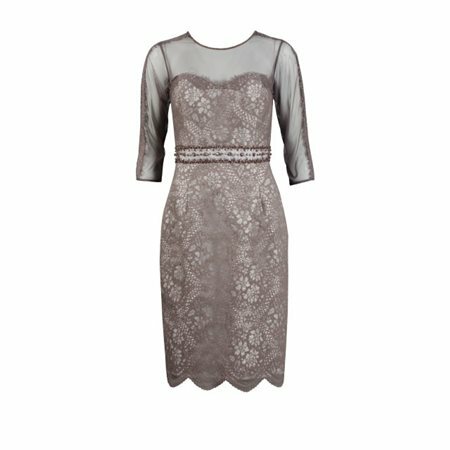 The neck and sleeves in semi sheer mesh is trimmed with striking fine lace detail for a touch of old-English glamour.